My latest Mayo News column, published on Tuesday 2nd September. Many years ago, as a newbie, I made a bit of a boo-boo at work. Now, it wasn’t a major catastrophe, but it was enough to cause me a sleepless night, and render a few days’ hard grind worthless. Crucially, it also meant that someone else had to intervene and help me clear up my mess. Only months into the probationary period of my new role, I decided that the obvious, clever thing to do was to absolve myself of as much responsibility as possible and just deny everything. Unfortunately, doing so meant that the problem took longer to fix, inconvenienced my colleagues and ultimately, earned me a bigger slap on the wrist. It took me about 10 years to be able to laugh about it, but the biggest lesson I learned that day was that honesty is, in the long run, probably the best policy, and that admitting you’ve made a mistake can sometimes solve the problem faster. That incident sprang to mind last week amidst the furious reaction to the GAA’s decision to stage the All-Ireland Semi-Final replay in Limerick’s Gaelic Grounds. Because a lucrative American Football game had been scheduled for Croke Park, Mayo and Kerry footballers found themselves booted out of their national stadium and dispatched off west to replay the drawn game, like the inconveniences they apparently are. As the storm raged, the reaction of GAA HQ, and in particular President Liam O’Neill struck me. “It would be in Mayo’s best interests”, O’Neill proclaimed, “to get on with it and play the game and qualify for the final and hopefully, for them, end their barren spell.” This dismissive, incendiary statement added more fuel to the fire, and suddenly, all eyes were on O’Neill’s stewardship. 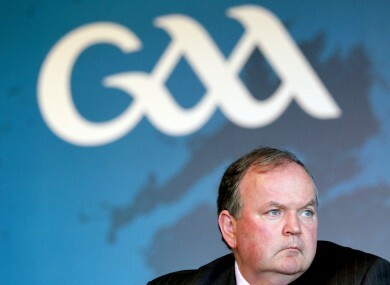 On the back of the SKY deal and the Garth Brooks fiasco, the GAA – an organisation that prides itself on the fairness of which it distributes its funds – was suddenly looking like it was embracing its unofficial moniker, the Grab All Association, with O’Neill the Mr. Burns of the narrative. And the controversy raged on. Imagine the alternative. Just think for a second, an imagine if O’Neill had come out, held his hands up and said “You know what? We messed up here. We’re sorry.” Two little words, too difficult to utter. Two little words, that might have quickly poured oil on troubled waters, placated two angry sets of supporters, absolved O’Neill and reassured players that contrary to what they might reasonably think, they are not at the bottom of the food chain. But “sorry” was a bridge too far. It often feels that as a society, while we teach our children that “owning up” and saying sorry is better in the long run, as adults, we ourselves are conditioned to avoid apologising. It seems that sorry really is the hardest word. ← Women – still the poor relation when it comes to sport?